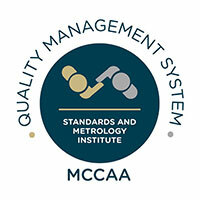 Quality Management System and Sustainability Certifications. Gutenberg Press has adopted a Quality Management System based on the guidelines of the ISO9001:2008 standard. We want to ensure product consistency and improvement that meets customer requirements within the respective legal framework. Gutenberg Press has a tailor made management information system (MIS), which is an integral part of the documentation setup. It is used for planning, management of data, records and reporting. This ISO certification has enhanced our business reputation in many different countries. It ensures the high standards of our products and business processes, which can be translated into a more reliable business practice. ISO certification improves the corporate culture where all stakeholders get accustomed to delivering quality output. We communicate our Quality policy to our customers, employees and suppliers whilst soliciting their input to enable us to meet their expectations. Gutenberg Press is committed to the sustainability of natural resources and we are proud to show our staff and clients that we can print anything on paper products that have a certified FSC™ chain custody. Chain of custody certification, like FSC™, provides assurance that paper-based products are sourced from sustainable and well-managed sources, minimising environmental impacts. 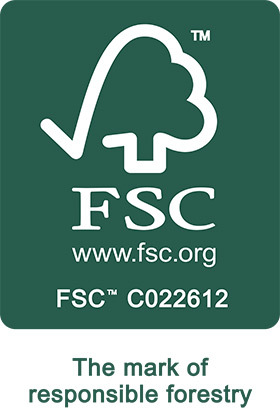 The Forest Stewardship Council™ [www.fsc.org] is an independent, non-governmental and non-profit making organization, which influences the way in which our forests are managed and our paper-based products are supplied. You can access the Gutenberg FSC™ chain of custody certificate [TT-CoC-002424] on info.fsc.org. FSC™ certification demonstrates a pro-active and innovative attitude to the sourcing and promotion of sustainable paper products. It helps to attract business from the growing demand of sustainable / environment friendly procurement, and looks to minimize their environmental impacts.